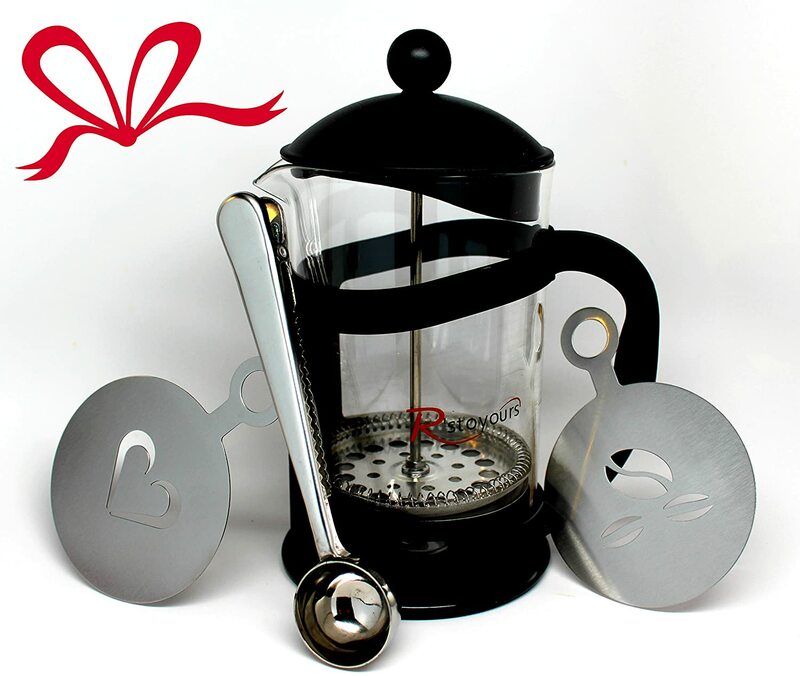 My son was without a coffee maker so I got this R'stoyours French Press, 6 Cups with Bonus Measuring Scoop, 2 Decorative Coffee Stencils, and Coffee Bag Clip for him to use. There were no instructions with it, and having never used one before, neither of us knew exactly how to use it. Reading through the product description gave us a general idea, but no details. We had no idea how much coffee to use in this coffee maker but since we saw other reviews saying it made very strong coffee, we didn't use as much as we might have otherwise. He was also very concerned about pouring boiling water into the pot, but poured it in very cautiously and had no problems. He was not very happy with his first pot of coffee because he said it was much too weak. Since then he has been experimenting with it, and has come much closer to the needed amount. He is still experimenting, but is much happier with the results now. I wish it came with directions because it would eliminate the need for experimentation, but still like this coffee maker with or without directions. He must not mind it too much because he wouldn't let me take it back to use for my tea.